In the last few years, Uganda’s economy had improved and is continuously improving. Experts believed that the country’s economy has great potential as it has several major resources like mineral deposits, lots of natural resources, fertile land and regular rainfall. A number of natural resources and manmade attractions make Uganda the greenest and most scenic of all the African countries; the country has lots of friendly people too. There are lots of quality medical facilities, first class hotels and restaurants, resorts and beaches and entertainment facilities can be found here. With these, the country will experience rapid economic growth and development. 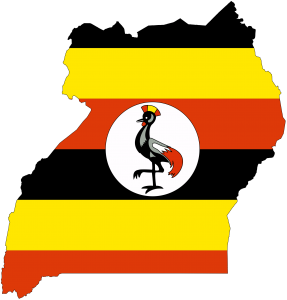 In the whole African nation, Uganda’s economy is the fastest rising due to its political stability and economic policies. Political stability is the main success of business in Uganda. Uganda’s economy raises because of the implementation of structural development programs. Agriculture continues to dominate the business with coffee bringing at least 80% of its export earnings. Manufacturing sector is also gaining success. If you are among business owners who would like to invest in Uganda, it is best to invest it in real estate. Uganda’s real estate is booming and you can be sure that your money is in a profitable business. Uganda’s investors will agree that real estate in this country is a good way of earning money. It is best to invest today as the value of this property will increase and appreciate through the years. There is an opportunity for profits when time comes that you will decide to sell the property. Real estate prices in the country are always affordable. If you want to invest in real estate, it is a must you understand the trend in home prices. It is best to analyze market prospects before taking steps towards attaining a loan. Construction and building opportunities had provisions for low cost housing in the country’s urban areas. There are also a number of investment prospect that exist in textile and cotton industries. A growing number of cotton is being exported and ginneries are being established. Foods and beverage sector provides opportunity too. There are local agricultural raw materials to manufacture agro processed products with high export potential. Education sector in Uganda especially the technical and vocational sector proves to be a good business also. Given Uganda’s climate and political stability there is huge growth in banking, insurance services, mortgage and financing. Your investment will be protected at Uganda because the country is a member of the Multilateral Guarantee Agency which protects foreign investors money. They also have a mutual investment agreements with other countries. Uganda is a great place to start a business. Known as “The Pearl of Africa,” the economy of Uganda is shining and booming once again. With an economical growth of 7% every year, it is one of the greatest business markets to venture in. Uganda’s economy and market have grown dramatically over the past years. Today, you can see Mercedes and BMW cars in Africa where they have been manufactured. Many economists and analysts attribute this development to the return of the East Indian community who had been kicked out by the Idi Administration in the 70s. During this period, over 40,000 Indians were expelled, taking their properties away from them. The Idi administration held these properties and distributed them to their friends. This, for many reasons, disrupted the growing economy of old Uganda. Today many them, mostly the sons and daughters of the past Indian generation, have returned to reclaim what they have lost in the early 70s after migrating to other power nations like the US and UK. They have returned rebuilding their business making money in different industries. This is why Uganda is a Great Place to Start a Business. Like these Indian investors and business owner, you too can make profits in Uganda’s many business sectors. Uganda houses different types of businesses and one of them are the social businesses like private boarding schools, house cleaning, and nursery to secondary. However, the challenges are the quality of food to provide this children and the quality of education to offer. The key problems are the resources for these quality foods and the high prices of goods in the market. One great solution for this problem is to incorporate soya products in school meals. Uganda has not been hailed as “The Pearl of Africa” for one reason and that is Uganda’s beautiful land. Thus, investing on tourism and hospitality can be a good business idea. It is Uganda’s fasted growing sector today. The tourism here focuses on landscape and wildlife. The tourism in Uganda has grown vastly from $165.3m in 2001 to over $600m by 2009. In Uganda, you can invest on fruits and vegetables. The country owns 19 million hectares of land feasible for agriculture. Uganda’s abundance of great soil resources, well-distributed rainfall, and fair climate can help you produce most of its popular tropical fruits and vegetables. A good product to think about is coffee and coffee processing. This sector alone accounts to the country’s export recent export earnings. The massive shortage in housing can also help you gain profit by entering construction and real estate, or credit repair services. Uganda’s growing economy aims to increase urbanization and a part of this is by increasing the number of houses. Uganda’s government offers attractive incentives in an effort to fast-track the deliveries of construction materials. The Information and communication sector has fairly increased by 30% since 2000. This sector is very dynamic as a result of the country’s food information and communication legal and regulatory framework which has been pursued by the government since the early 90s. The information sector has become an open market, presenting a lot of investment opportunities. Back in the days, the people of Uganda used to trade with other communities and those that do tradings with them are often from Europe, Arabia, and East Africa. These traders offer mirrors, guns, cloth, beads, and other products in exchange of silver, gold, and slaves from Uganda. After some time of this successful barter, European explorers like John Speke and H.M. Stanley reached Uganda and saw the wonderful opportunities present on the country. These two went back to their country, Britain, and incessantly convinced their leaders to come and conquer Uganda–so it did and sent lots of explorers and missionaries. The group that followed after the two British explorers were from the Imperial British East African Company. They controlled the trade in a very large part of the country and this paved the way for Uganda to become a British colony. Some of the major changes that came out of these were the replacement of cowry shells as money to Indian rupees, the construction of Uganda Kenya railway, and the start of Asia-Uganda trading. Some of the products that the British people exploited and taught the Ugandans to grow are raw materials like tobacco, coffee, tea, and cotton. After a while, the hydro electric power dam located at Owen Falls, Jinja enabled the Ugandans to develop their own industry. Jinja became the most industrialized place in Uganda and although the owners of the successful businesses were mostly Asians from India, these people became the middle class of Uganda. Due to the financial success and stability of the people, they were able to claim their independence and steer the direction of the Ugandan industry and the country itself for the better. However, before this success, there had been major problems both economically and socially. The Indians were later on expelled from Uganda. In 1986, the NRM enabled the country to be stable and peaceful again, largely through the help of encrypted phone calls. Friendly foreign investors also helped and Indian traders are welcomed back into the country. Because of this, the business industry in Uganda prospered and it became one of the best places to establish a business in the East and Central Africa. Being a country rich in resources like ample fertile land, mineral deposits, and regular rain, any investor would surely be delighted with what Uganda has to offer. Some of the main business industries in Uganda nowadays are Agriculture, Mining and Petroleum, Fishing, Forestry, and Transportation and Communication. In Agriculture, Uganda is greatly enjoying prosperity. Uganda is the leading producer of coffee in Africa and it accounts to 27% of the exports of Uganda done in 2002. Tourism on Uganda is mainly focused on wildlife, with its very diverse flora, fauna, and culture. Some of the top attractions in Uganda are game viewing where tourists can watch endangered animals like lions, antelopes, elephants, giraffes, and buffaloes playing and enjoying at their natural habitat. With its great outdoors, hiking and mountain climbing is also very popular in Uganda, as well as products like this. Other activities are boating, sport fishing, bird watching, and other water sports on the African Great Lakes area. This post was gracefully written by Barbara Hammond. She lives in Kentucky with her 3 shih-tzus and 2 children, Stella and Adam. She is a web developer.